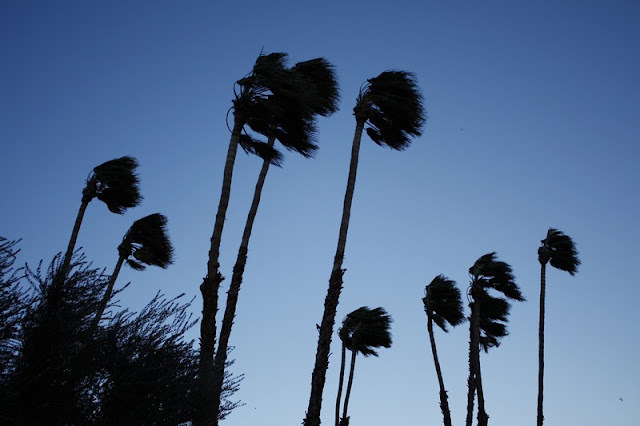 Yes - wind and lots of it - but the meteorological type! Over twenty years ago I slept through the worst of the UK's hurricane, which became known as the Great Storm of 87. Michael Fish TV meteorologist had announced on national TV that there would not be a hurricane! Has he ever lived it down? I awoke the following morning to find devastation. Over 50 major trees were on the ground plus thousands of branches at Reading University where I then worked. It took my staff over two years to complete the clear up. This morning the storm has blown over but its not quiet - the Sunday morning calm is broken with the angry buzz of chainsaws as home owners and the local authority clean up the debris. 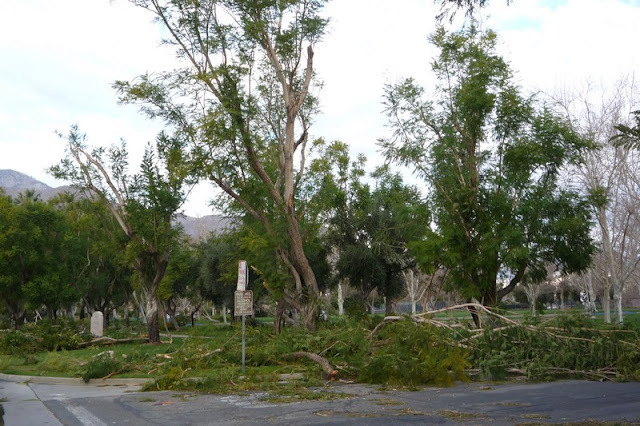 Trees are down everywhere and the nearby park is a mess. So sad and will there be funds to replant in a recession - somehow I doubt. 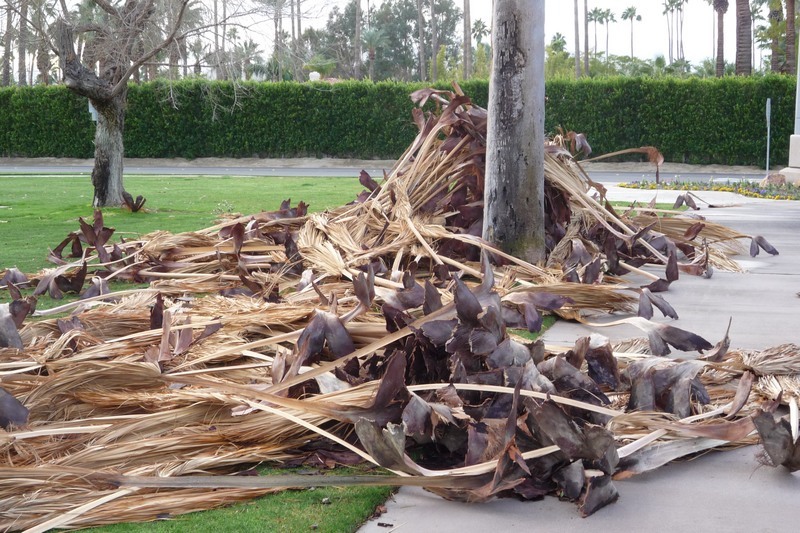 Palms are usually very resilient to winds and bend and waver with no issues, although they do readily drop all the dead fronds with distinct clatter. Next door is a new development and several of the newly planted palms are flat on the ground. Not surprising as these are tall trees, transplanted with small rootballs. 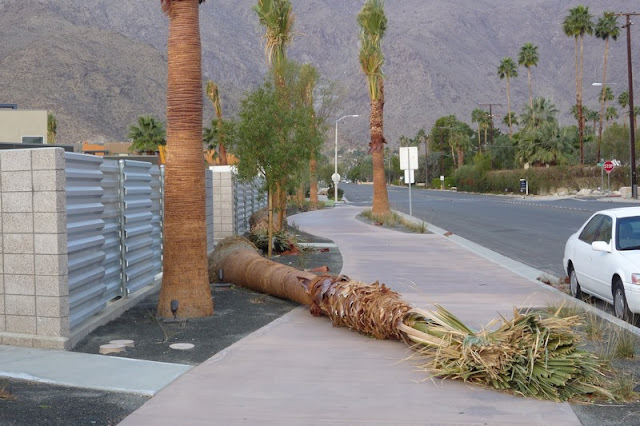 More amazing are the mature palms that have succumbed for some reason like this date palm, laying across the road. 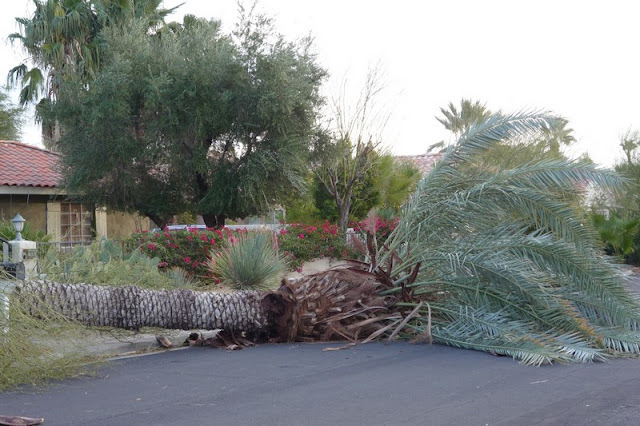 As I plod around the streets on my morning run, I see trees down everywhere but two particular points catch my eye. 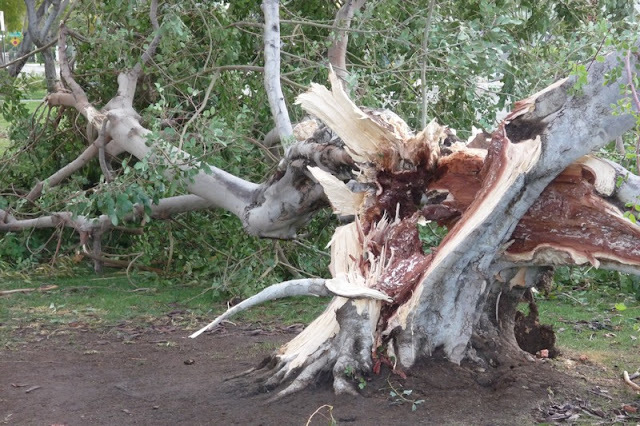 A large number of trees have suffered from root heave. 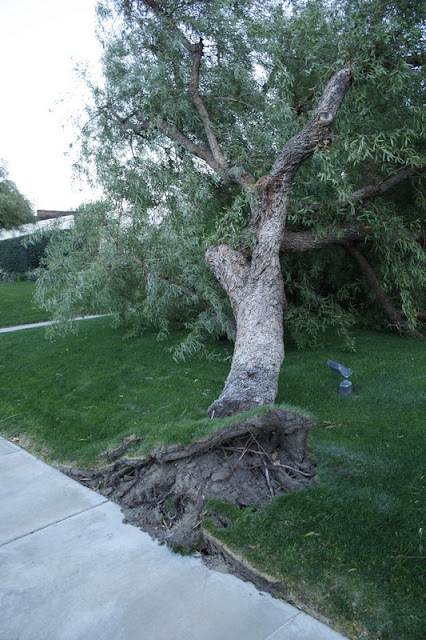 The tree has just collapsed pulling up its rootball with it. This was also a major observation in the 87 UK storm when the previous wet weather had softened the ground and loosened roots. The other common factor noted this morning is that so many branches that had snapped were showing rot at the site of a previous pruning cut. All of this leads me to the conclusion that if trees here weren't so heavily and unnecessarily irrigated, they wouldn't grow so fast. 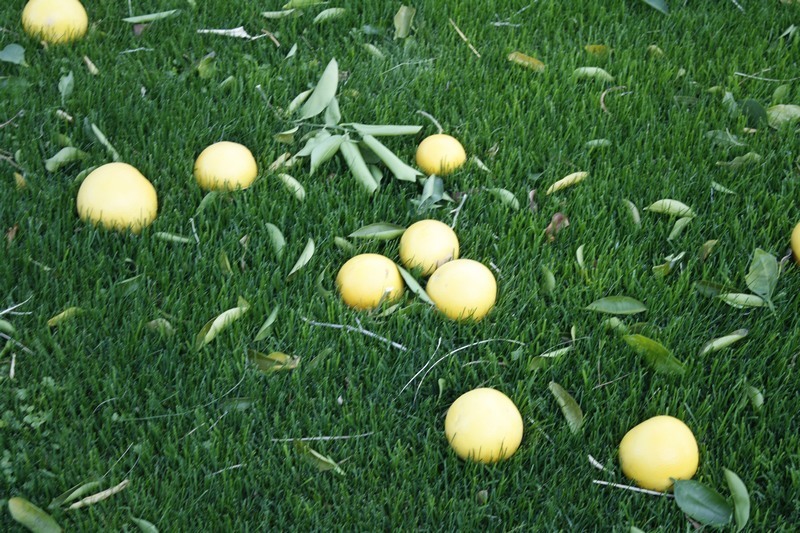 In turn this would mean less need for continuous pruning. Hopefully tougher, more stable trees would be better equipped to deal with high winds. Well I'm off outside to clear up the yard but after Friday's rant, I'd better use a broom and not the blower! Great pics Ian, interesting to see just how small a rootball the newly planted palms go in with. How long do they usually take to get established?